Original contemporary Scottish skyscape painting. 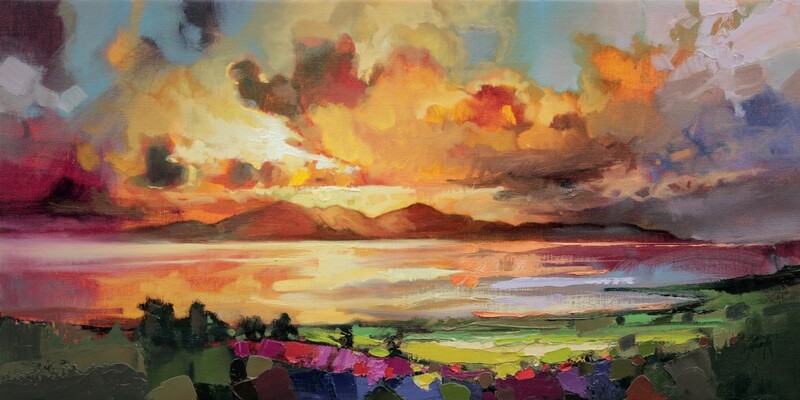 Good evening, I wondered if you had the Arran Optimism painting in Print format? Is there anywhere we can look to find one? It’s beautiful! Hi Morag, I could organise that. The print size would be 30 x 60cm maximum, on canvas, signed open edition (not numbered and a bit cheaper than equivalent limited edition).